Some practical info on the process of buying custom Amish Furniture. (It's easy). We offer a variety of style categories including Traditional, Transitional, Contemporary, Mission, and Shaker. Use the filter on the left side of our website to select out the style you like best. Where will the piece be going in your home? Are there any measurements or dimensions to take into consideration? Will the piece fit through doorways, hallways, and turns? We have many hardwoods to choose from including rustics, live edge, and reclaimed woods. Some have a long flowing grain, while others have a shorter grain. Some woods (i.e. Brown Maple and Hickory) show a greater degree of stain variation than others. 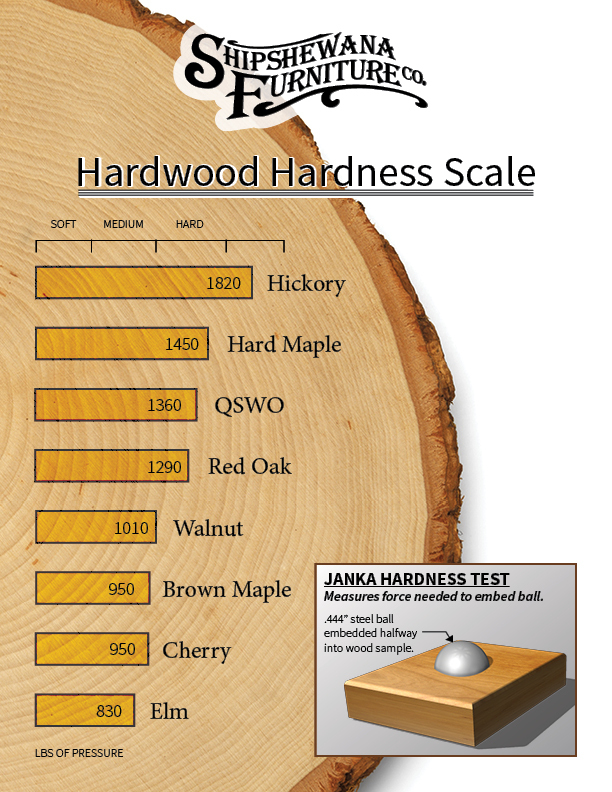 Some woods are harder than others (see our wood hardness page) and are better suited for high-traffic areas of the home. Some woods will darken more quickly than others when exposed to prolonged periods of direct sunlight. With each wood, you have a choice of stain color. Once you’ve picked out the pieces you’re interested in, you can either submit a quote online or you can call our Furniture Customer Service Department (M-Sat 9-5 EST). Online quotes are typically responded to within one business day. When you’re ready to order, just let us know! We will generate a Sales Order for your review and final approval. Once you’ve approved your order, we require a minimum of a 50% deposit in order to submit your order. The balance won’t be due until your furniture is done. We accept cash, check, and credit card (Visa, Master Card, Discover).